Paris. The name alone conjures images of chestnut-lined boulevards, sidewalk cafes, breathtaking facades around every corner—in short, an exquisite romanticism that has captured the American imagination for as long as there have been Americans. 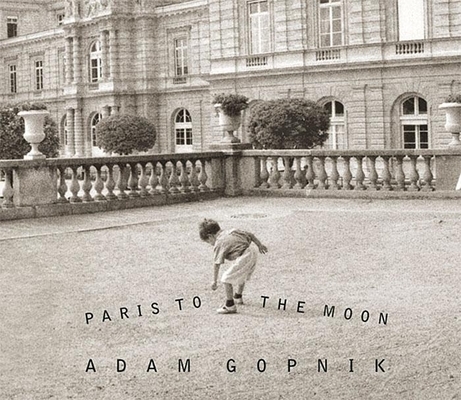 In 1995, Adam Gopnik, his wife, and their infant son left the familiar comforts and hassles of New York City for the urbane glamour of the City of Light. For Gopnik this was above all a personal pilgrimage to the undisputed capital of everything cultural and beautiful. So, in the grand tradition of the American abroad, Gopnik walked the paths of the Tuileries, enjoyed philosophical discussions at his local bistro, and wrote as violet twilight fell on the arrondissements. Yet, at the end of the day, there was still the matter of raising a child and carrying on with the day-to-day, not-so-fabled life. As Gopnik describes, the dual processes of navigating a foreign city and becoming a parent are not completely dissimilar journeys—both hold new routines, new languages, a new set of rules by which everyday life is lived. Weaving the magical with the mundane, he offers a wholly delightful, often hilarious look at what it was to be an American family man in Paris at the end of the twentieth century. ADAM GOPNIK has been writing for The New Yorker since 1986. His work for the magazine has won the National Magazine Award for Essay and Criticism and the George Polk Award for Magazine Reporting. From 1995-2000, Gopnik lived in Paris, where the newspaper Le Monde praised his "witty and Voltairean picture of French life." He now lives in New York with his wife, Martha Parker, and their two children, Luke and Olivia.